All LEGACY ESTATES AMENDED homes currently listed for sale in Peoria as of 04/24/2019 are shown below. You can change the search criteria at any time by pressing the 'Change Search' button below. 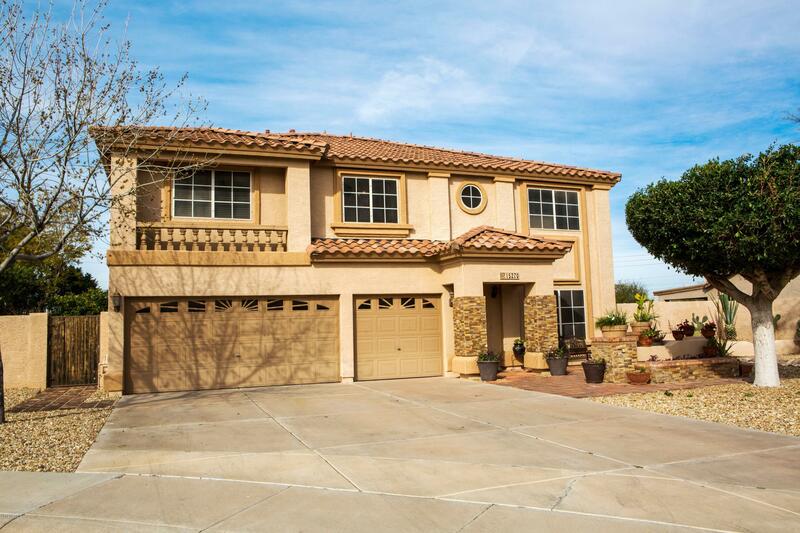 "Enjoy this lovely cul-de-sac home located in a gated community with 4 bedrooms/2.5 baths/3 car garage and spacious loft/bonus room area. Enjoy the front courtyard sitting area with seating and landscape. Plenty of room for the whole family in the extra large family room opening up to the beautiful kitchen area with granite counters, gas cooktop and plenty of storage. The owner has updated the home with gorgeous neutral tile and wood floors along with upgraded carpet in all the right places. The "